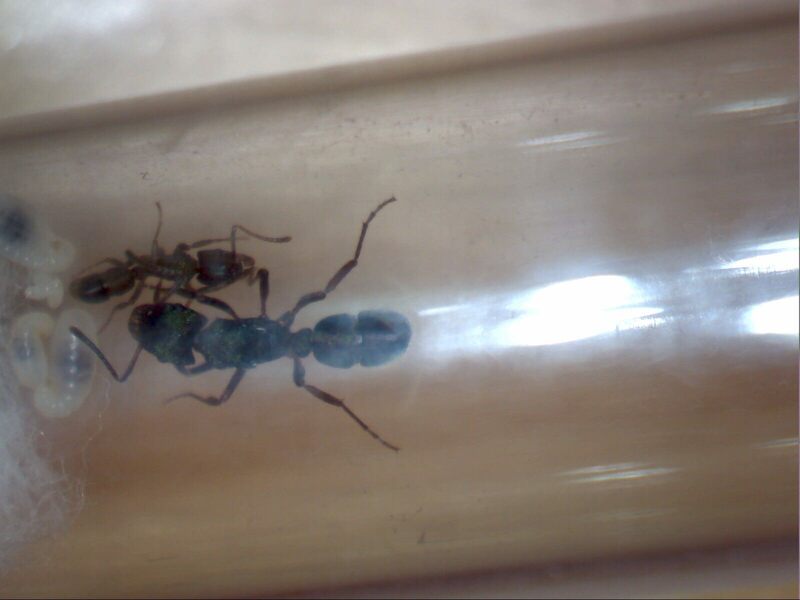 You may have seen me from my other journal “Hitch3’s Camponotus Consobrinus Journal”.Today I bought a (really small) colony of Rhytidoponera Metallica. 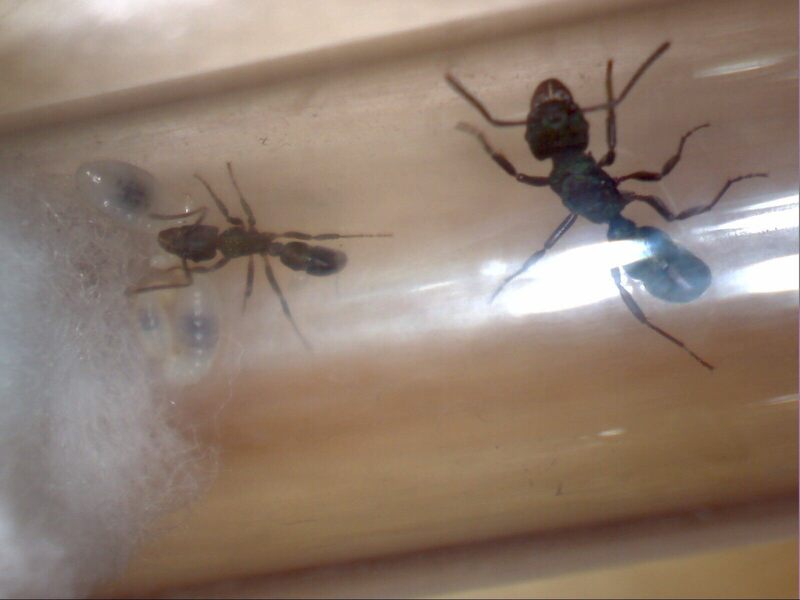 They currently have 1 Queen, 1 Worker, 3 Larave and 5 eggs. 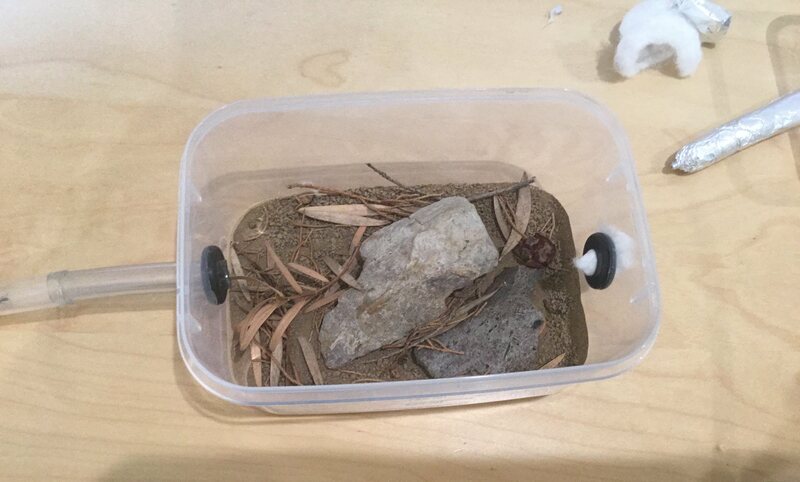 They came in a plain “Tubs And Tubes” setup, but I have since moved them into a more realistic area. I will be updating this journal every week with at least one photo, just like my other journal. I have no pictures of the colony today, but I do haves picture of some pupae from a established wild colony. 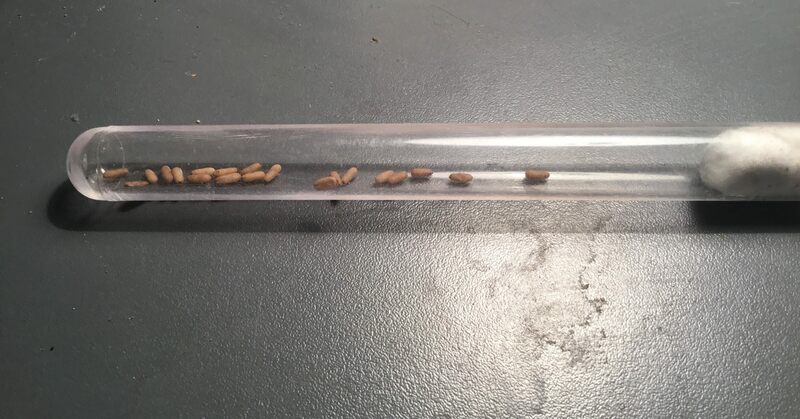 I plan to brood boost my colony with about 20 pupae to get things rolling. Well, that about it for this week. I promise that next week I will try to post a couple of pictures to make up for not updating. 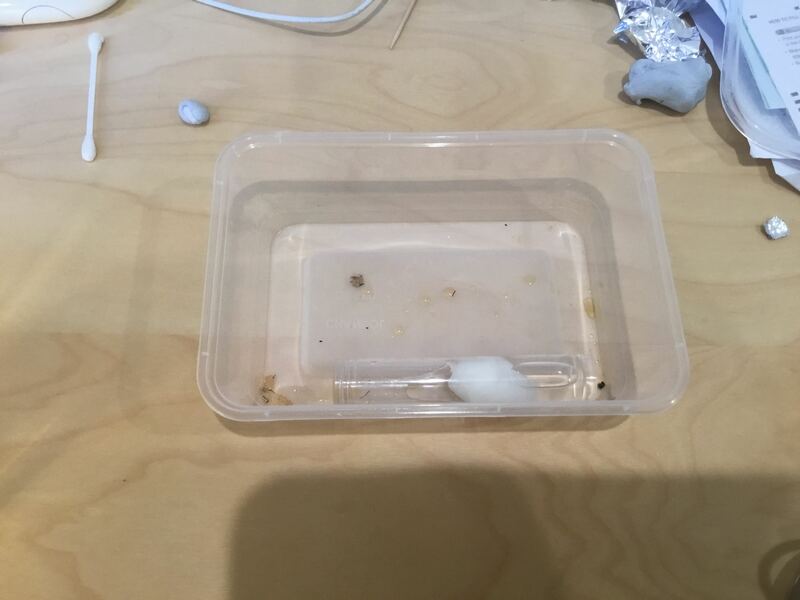 I ended up misplacing the pupae, so the colony is still small for now. 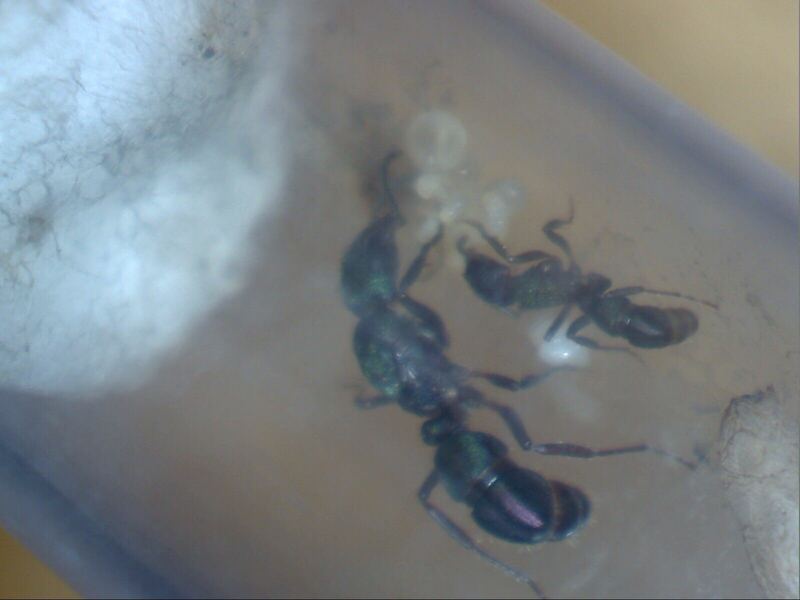 The are still growing though, with about 4-6 larave, 5 eggs, and a pupae. Well, other than that, there is not anything else to report on.